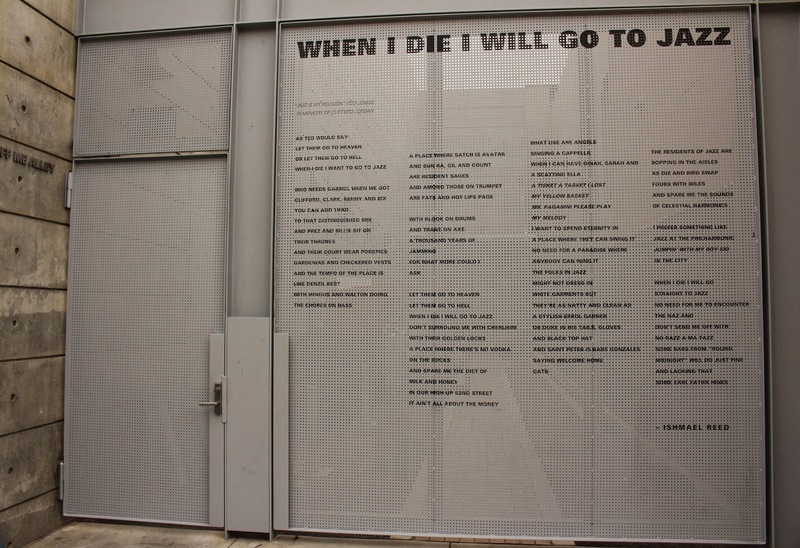 Last week, SFJAZZ Poet Laureate Ishmael Reed's poem "When I Die I Will Go To Jazz" was installed on the north gate of Raise Up Off Me Alley (named to honor jazz legend Hampton Hawes) at the SFJAZZ Center. Come by the Center and have a read! 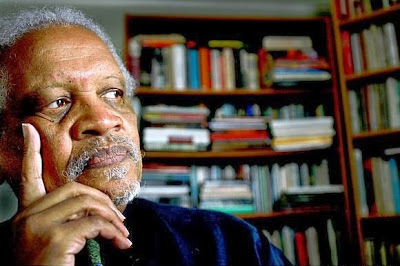 Ishmael Reed was a clear choice to fill the new SFJAZZ Poet Laureate chair. An acclaimed poet, playwright and novelist known for his polemical works about American political culture and social oppression, as well as the jazz-like rhythms accented through his language, Reed resides in Oakland after retiring from a UC Berkeley professorship. "Jazz has given so much to me; maybe now I can give something back." 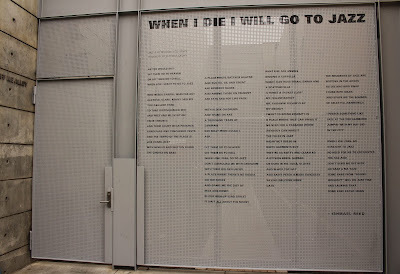 The SFJAZZ Poet Laureate chair was created to celebrate the connection between poetry, jazz and spoken word, and to inspire young poets and musicians to further their craft and contribute to the global conversation of art. Reed curated the 1st Annual Poetry Festival earlier this year, presenting many of California's great poets in Joe Henderson Lab. Reed continues this dialogue between word and sound at the 2nd Annual Poetry Festival, April 3-6, 2014, as part of the SFJAZZ Center's Season 2, currently underway. If you're keen to see Reed's poem, drop by the SFJAZZ Center, or find his New and Collected Poems 1964-2007. For more information on the 2nd Annual Poetry Festival, visit sfjazz.org. Ishmael Reed -an icon in the annals of poetry/literature/ and countless art forms,we can go on for eons listing his contributions to the African diaspour. He's in my opinion a storm with no norm - he strikes like lighting when he speaks about social injustice- he paints with commanding stroke as his voice echos the pain of generation past and present. Yes, he delivers bombs in the belly of Amerikana/Africana to digest, he doesn't regress he marches forward chopping heads and taking no prisoners on the way to the forum of justice. We're trully blessed to have a man of his stature walk the earth and pronounced the demon dead that laid in our path. Up you migfhty people!